The night of Christmas Eve, a nutcracker doll comes alive to battle and defeat the King of the Mice with Clara’s help. The Nutcracker Prince then whisks Clara on a journey through the “Land of Snow” and into the “Kingdom of Sweets” where the pair meet many characters, including the Sugar Plum Fairy. Not only is this a fabulous ballet for your child to view, but also it introduces them to classical music composed by Tchaikovsky. 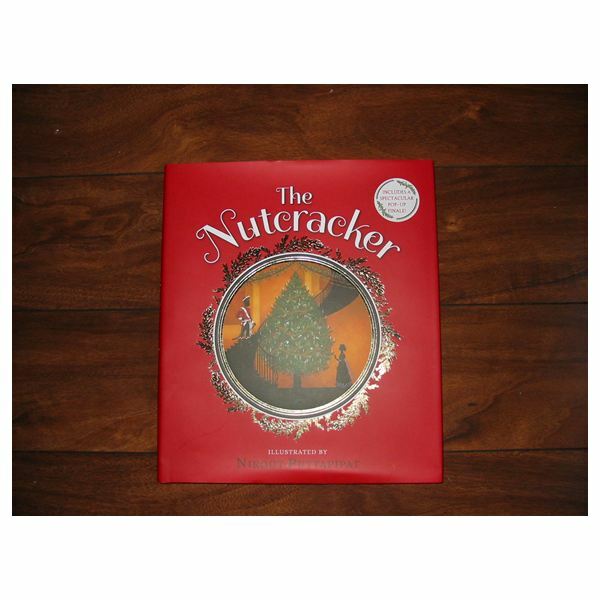 A new book, The Nutcracker illustrated by Niroot Puttapipat was launched September 27, 2016 by Candlewick Press. A ballet tells a story using only dance, music and mime. As the children watch the ballet, live or video, pay attention to the musical changes. Listen for marches, battles, magic, Arabian, Chinese and Russian music, waltz of the flowers, clowns, flutes, and the famous dance of the Sugarplum Fairy. As you play the musical score by Tchaikovsky, invite the children to wave scarves to the tempos or make dancing wands, since movement is part of a child’s development. To make a simple wand, attach lengths of colorful ribbons to a cardboard paper-towel tube with a stapler. Encourage them to decorate the tube with holiday art and/or stickers. Another fun enhancement is to have your group draw their version of the “Land of Sweets” on construction paper. Make the artwork come alive by taping several pieces of wrapped candy to the drawing. This picture can be taken home with instructions to allow the children to remove a piece of candy each day and eaten as an after-meal treat. During Circle Time, tickle a child’s sense of sight and touch by allowing him/her to handle any Nutcrackers dolls you might own. Compare the designs, colors, facial features and uniforms. Invite the students to draw a nutcracker figure along with facial features onto the wooden stick. Color the clothing with markers. Cut a square of black felt and glue this to the top of the nutcracker as his hat. Glue a small loop of gold cording to the top back to use as a hanger. These stick nutcrackers can be hung on holiday trees or around the room. Use glitter pens to enhance the outfits. Cut a dinner-size paper plate in half, along with a dessert-size plate. Arrange the two larger plates one on top of the other (vary the lengths) and glue in place. Take one-half of the smaller plate and glue this on top of the previous plates. This will form the ballerina’s tutu. Take a piece of the remaining small plate and cut out a torso to the dress. Glue this in place. Leave the dress aside to dry. With paint and a sponge, print a design onto the dress. Later use glitter pens to sparkle the ballerina’s dress. Set this aside to dry thoroughly. Take two pipe cleaners and twist them to form a body and two legs. Attach the third pipe cleaner to the middle of the torso, twist and make arms. Glue the dress onto the pipe cleaner body. Cut a round circle from paper scraps. Draw on facial features or use materials such as googly eyes and yarn or raffia for hair. Attach the head to the top of the pipe cleaner body. If you have a kitchen or cooking facilities, engage in some creative cooking with these two snack recipes that enhance the Nutcracker story. Mix together about four cups of popped corn, pretzel sticks, mixed nuts, golden raisins and peppermint candy pieces. Serve in plastic holiday bags or festive paper cups. Paper Plate Ballerina, adapted from the book, Look What You Can Make with Paper Plates, Boyds Mills Press, 1997, Skater on page 10.